In honor of tonight's Emmy Awards, I wanted to share a video that CC starred in (OK, along with a few other kids) for mom.me. 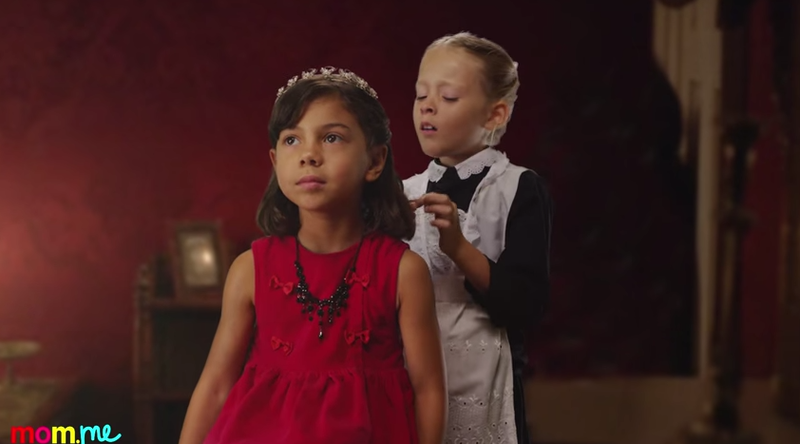 "Kids Reenact Emmy-Nominated TV Shows" is a hilarious spoof on the drama candidates for best show. 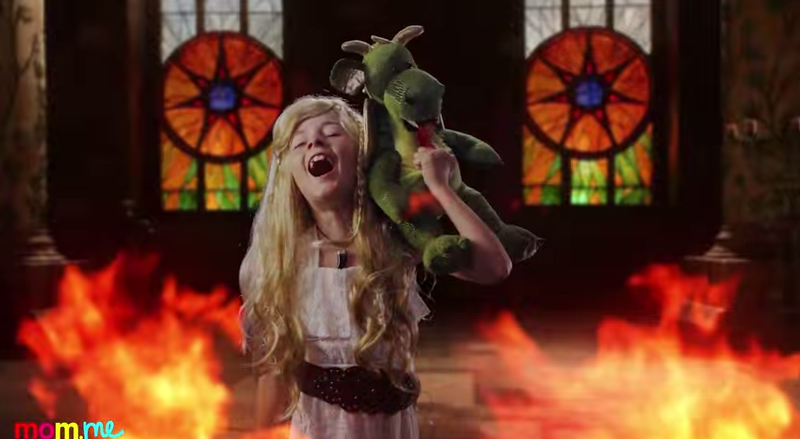 From "Game of Thrones" to "Downton Abbey" to "House of Cards" and "Breaking Bad," these high-profile series get their own kid makeovers in this clever video. CC as Daenerys Targaryen from "Game of Thrones"
Keep an eye out for an especially ruthless Daenerys Targaryen, complete with a stuffed dragon, and a disbelieving Anna Bates. CC had such a great time playing both characters. CC as Anna Bates from "Downton Abbey"
Have fun, and may the best show win tonight! I'm sure Seth Meyers will knock it out of the park. 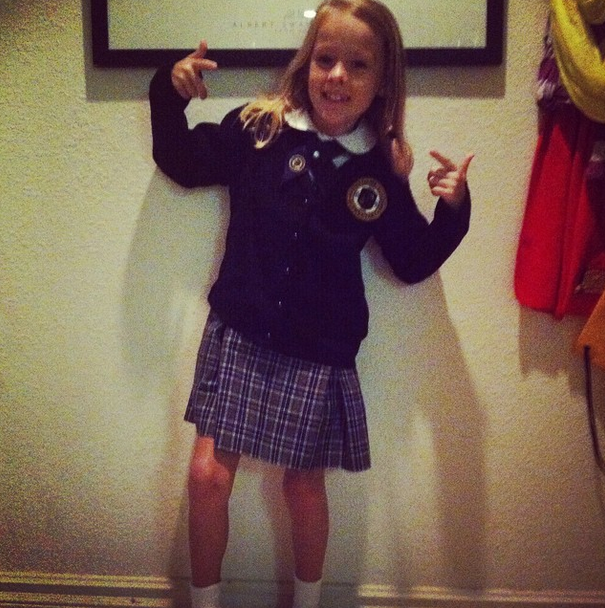 Today marks the first real day of second grade for CC -- hooray! While yesterday was technically her first day of school, it was more about dropping off school supplies and saying hi to her teacher. Today, though, was the real deal. Hope you have a great year, CC! 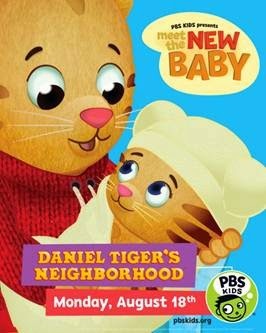 Coming Attraction: Daniel Tiger Gets a New Baby Sister! There's a new PBS Kid on the way, and her name is Margaret! 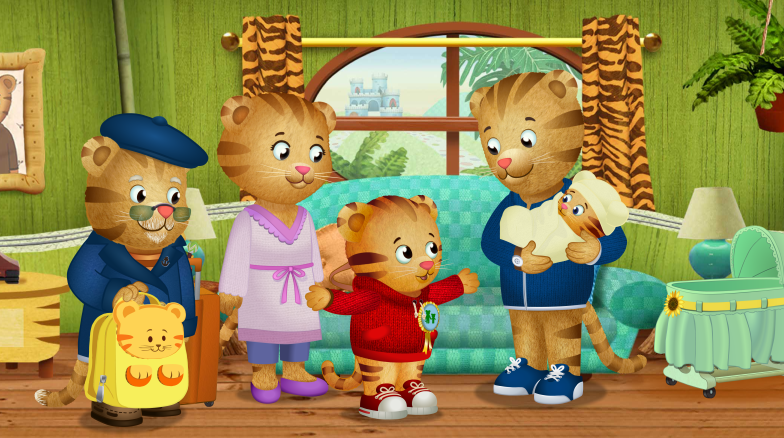 Daniel Tiger from "Daniel Tiger's Neighborhood" on PBS Kids is getting a brand-new baby sister, and he has to learn what it's like to welcome a new little tiger into his family. The special one-hour episode airs Monday, August 18 (check local listings), so be sure to make some time to watch with the kiddos. CC and I got a sneak peek of the episode, and my 7-year-old, who happens to be a big sister herself, could identify with what Daniel was going through, from finding out that there's a baby in Mommy's tummy to actually meeting the new permanent addition to his family. Besides adjusting to sharing space in your home (sometimes even your room!) and especially sharing your parents' attention, becoming a "sibling" as opposed to an "only" can be tricky. And I'm glad CC wanted to watch how Daniel was dealing with it. She liked it so much that she insisted on wanting to be a helper, which, let's face it, is always welcome. In the episode, Daniel learns to be a helper, too, which in turn reminds him how needed and wonderful he is to his family — especially his new baby sister. · Don’t Spill the Beans too Soon – While it’s always helpful to prepare your preschooler about what to expect and talk with them about new experiences, young children don’t understand time the way adults do. Since it can be difficult for them to wait for events happening many months in the future, try to wait as long as possible to tell your child about the new baby. · Discuss What to Expect When You’re Expecting – Talk with your child about what to expect from newborns – they sleep a lot, cry, and can’t play games or talk (at least not the same way as your preschooler can)! If you know a family or friend with a new baby, make a brief visit so your child can see firsthand what an infant can and can’t yet do. · Crown Your New “Big Helper” – Involve your child in caring for their new sibling right from the start. Encourage them to pick out items for the baby’s room, get the diapers when it’s changing time, and sing or talk to the baby. Giving them specific ways to lend a hand helps preschoolers feel needed and more grownup. · Make “Mommy/Daddy & Me Time” – When the baby arrives, set aside “just you and me” times with your older child. Whether it’s a trip to the library or simply reading a story together before bed, it’s important to make sure your older child doesn’t feel left out. · Let Them Know How Proud You Are – Help your child to feel proud about being the older brother or sister by showing your appreciation for all the things they can do that the new baby can’t yet accomplish such as using their words. 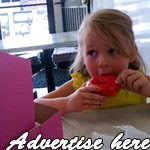 Reinforce your older child’s role in the family as the big brother or sister to the new baby. Will takes in the jazz band at Big!World!Fun! Saturday was a perfect morning for heading east to the Ford Amphitheatre to catch this week's edition of family-friendly music and dance series Big!World!Fun! The outdoor venue, nestled into the gorgeous hills, mixes natural greenery with canopy-covered seating that makes for a cool hour to take in the arts. The series kicked off in July and takes place Saturday mornings at 10 a.m. through Sept. 6. Featuring global music and dance from countries such as China, Mexico and Cambodia, among others, Big!World!Fun! 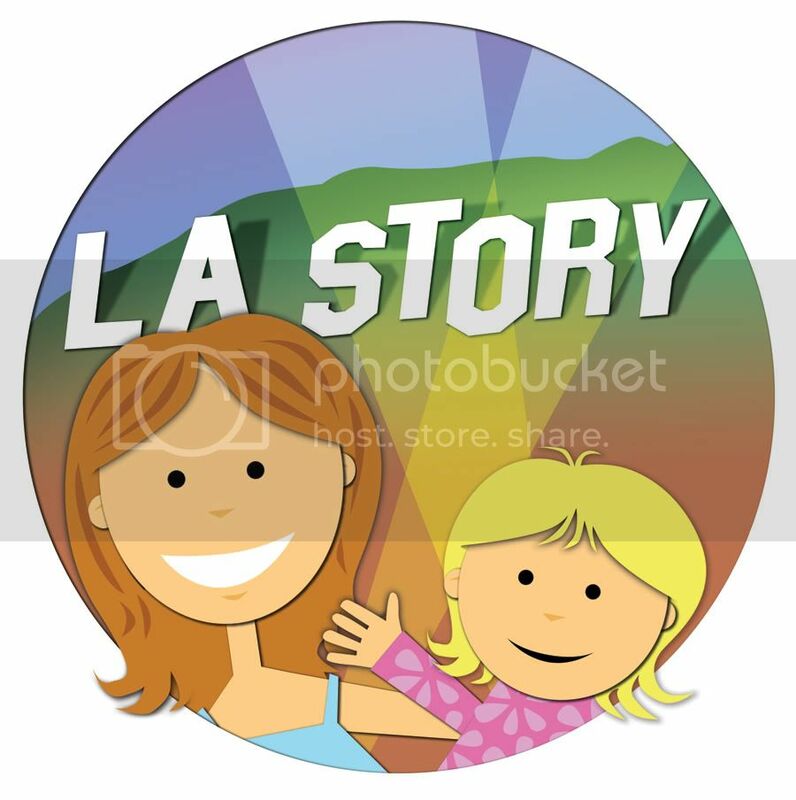 gives kids and parents a taste of world culture. I've taken CC a few times, but Saturday was Will's first Ford experience. We enjoyed jazz music and tap dancing from Sarah Reich's Tap Music Project. In addition to Sarah Reich, the talented tap dancer also brought other troupes to perform during the hourlong show. There are even pre-show projects, such as arts and crafts, that are really interactive for the kids. While the Ford recommends the program for kids ages 4-12, younger children are welcome, too! Will was, admittedly, a bit wiggly during the performance, but I could tell he loved watching the musicians and dancers. He even started clapping during some of the sets! The vibe is relaxed and laid-back, which is especially nice for parents. Even better? Tickets are still only $5 per adult while kids are free! Parking is only $1. So buy your tickets online or at the show, but definitely make this a summer must-do for the fam. How exciting is this giveaway, from NCircle Entertainment? 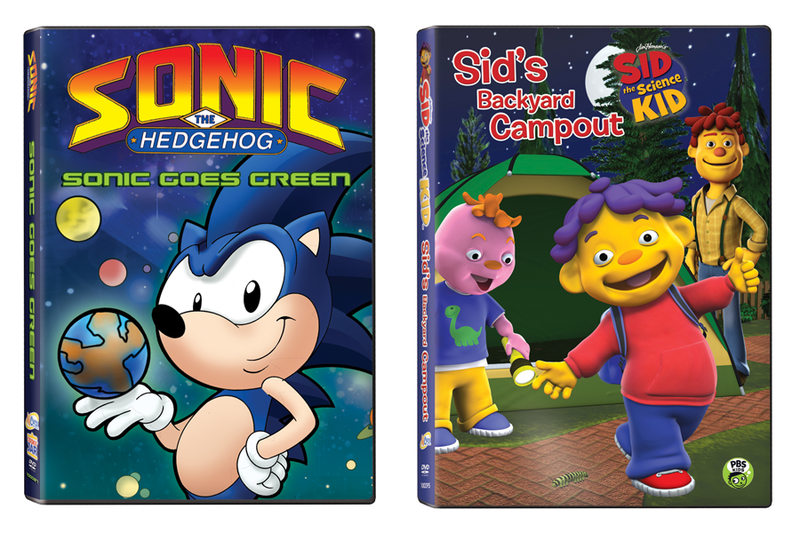 The media company just released six new DVDs, but we're giving away 10! 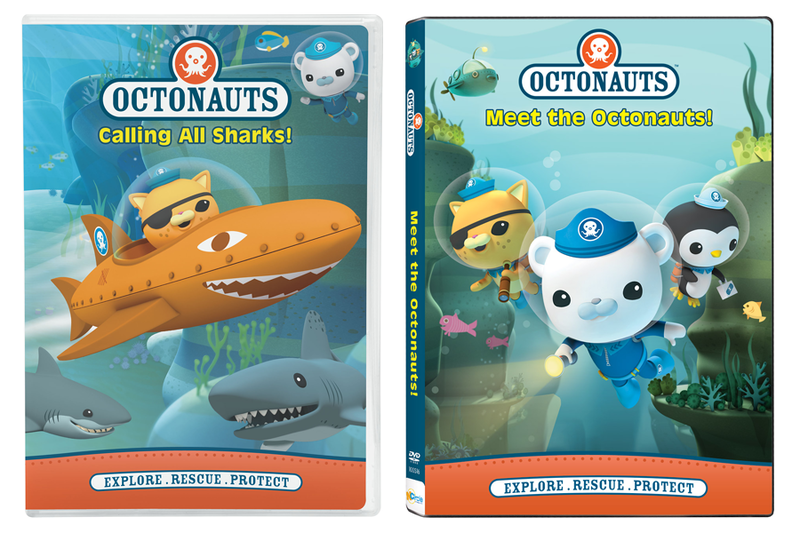 To give you the rundown on all six of the new releases, I wanted to start with CC's favorite, "Octonauts: Calling All Sharks!" (SRP: $12.99). CC is a huge animal fan. Doesn't matter if they're on land or under the sea, she wants to know all about them. As the Octonauts board the Octopod, they face a trio of Cookiecutter sharks, watch over an injured Lemon shark and stop a Whitetip shark that's chasing the Gup-A ship because, of course, it's shaped like a fish. "Is the Cookiecutter shark a pretend shark?" I asked CC. 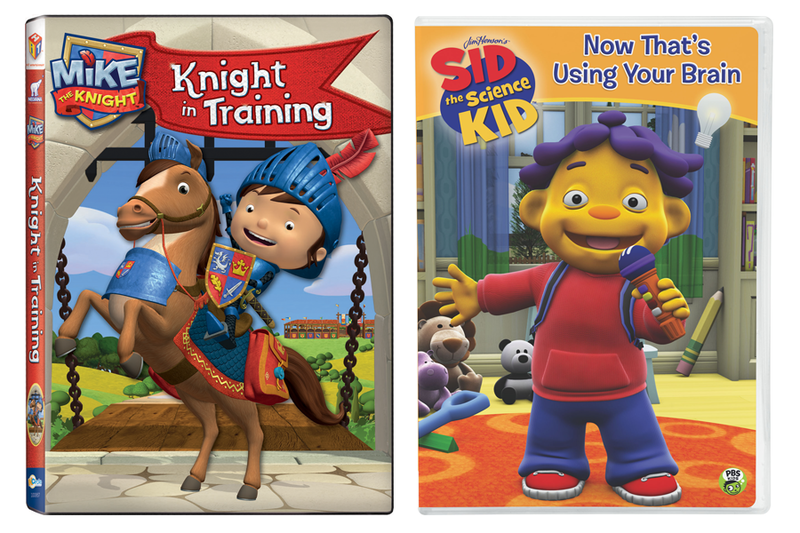 In "Sid the Science Kid: Now That's Using Your Brain!" (SRP: $10.99), our smart guy Sid learns that the brain controls everything from walking to thinking and breathing. And just like the super-curious kid that he is, he wants to learn all about it. 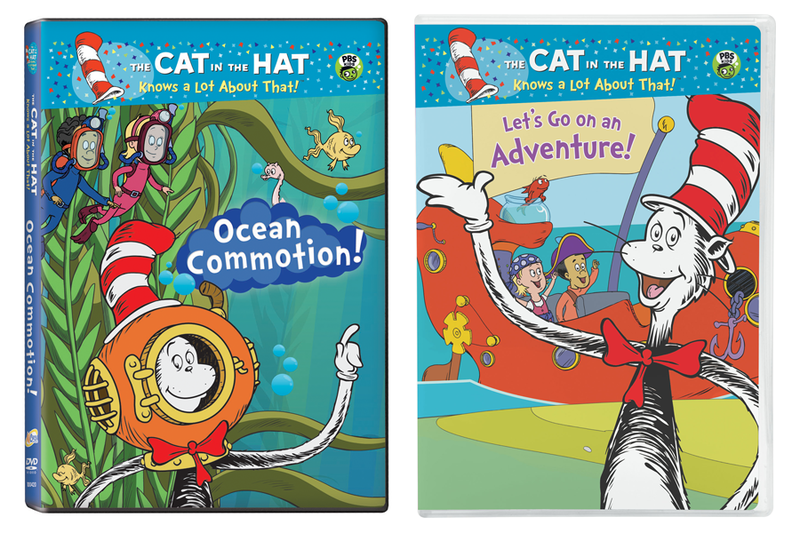 "The Cat in the Hat Knows a Lot About That: Let's Go on an Adventure" (SRP: $10.99) is the DVD for chocoholic children. In this one, the Cat in the Hat has eaten the last chocolate, and Nick and Sally must fly to Coco-a-licious to restock their supply. Wish I had that problem! Love "WordWorld!" In its latest DVD, "Hide and Seek" (SRP: $6.99), the word friends have to hide behind WordThings that end in "ake," which is a great way to teach kids the different parts of words. Bug builds a Rake, and Pig builds a Cake. But Shark is so big that it's hard for him to hide at all. 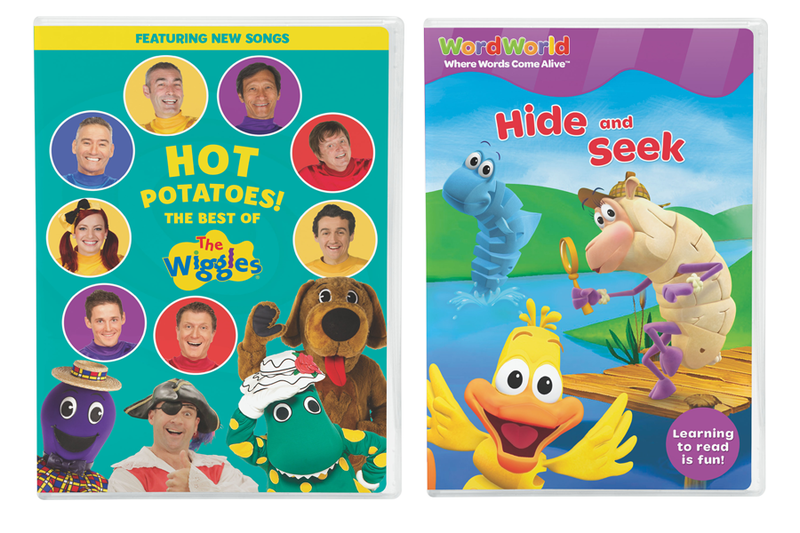 The final new DVD, "The Wiggles: Hot Potatoes! The Best of the Wiggles" (SRP: $12.99), features the musical children's entertainment group and some of their most popular songs — "Big Red Car," "Toot Toot Chugga Chugga" and "The Monkey Song." Awesome! I'm giving away all 10 of the above NCircle Entertainment DVDs, a prize pack worth $100! Good luck, and I will announce the winner on Friday, August 8!